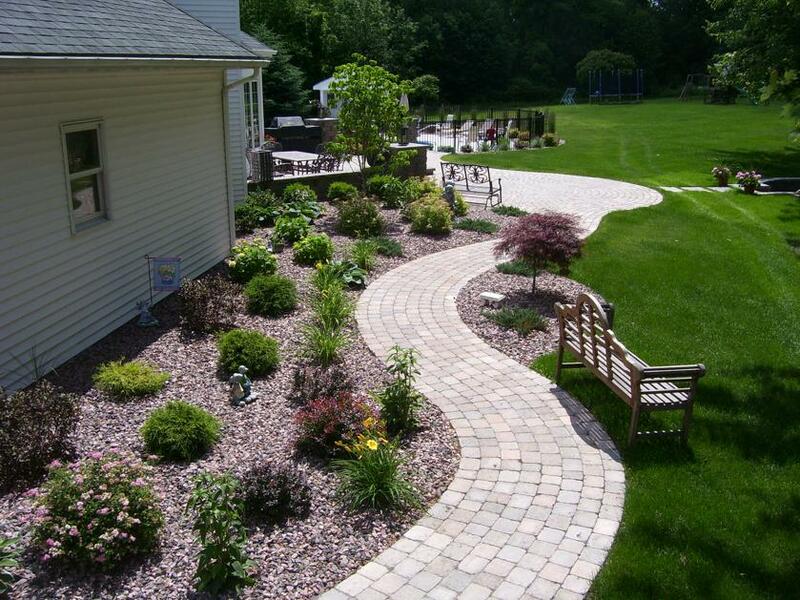 The installation of brick and paving stone surfaces, also known as “Hardscape”, is a specialty of Cardinal Lawn and Landscape. Our talented and creative installers are skilled at numerous styles of product. We adhere to all industry standards with regards to installation specifications, and our designers can help you plan an outdoor area that you will enjoy for years to come. 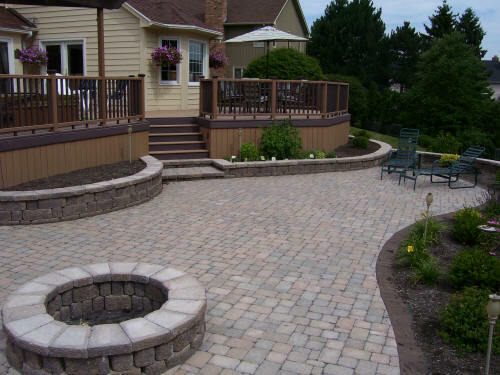 Show off your new patio inviting friends and neighbors to roast marshmallows at your outdoor fire-pit, or stroll peacefully through your garden on your patterned stone walkway. Whether you are dreaming of an outdoor kitchen, or simply picturing an inviting front entrance, we can help install your vision. We just had a new sidewalk installed by Cardinal. We would certainly recommend you to anyone who needs a walk put in. Once again, thanks for helping make our home look better.